Well that was a long break. 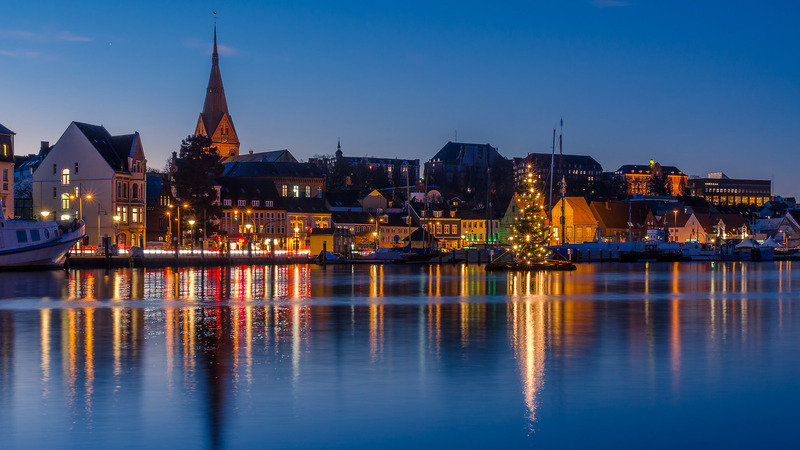 Finally, this week I had the chance to go down to the water again, to take a photo of what is probably the most photographed object in Flensburg these days: The Christmas tree floating at the end of Flensburg harbour. After a quick shopping in the city all I had to do was wait some minutes (in the freezing cold) for the light to get perfect. I was lucky: I took this on Monday, the last clear day this week.